Being a super sweet tooth with a soft spot for cupcakes, I make it a point to try all cupcake stores in town. 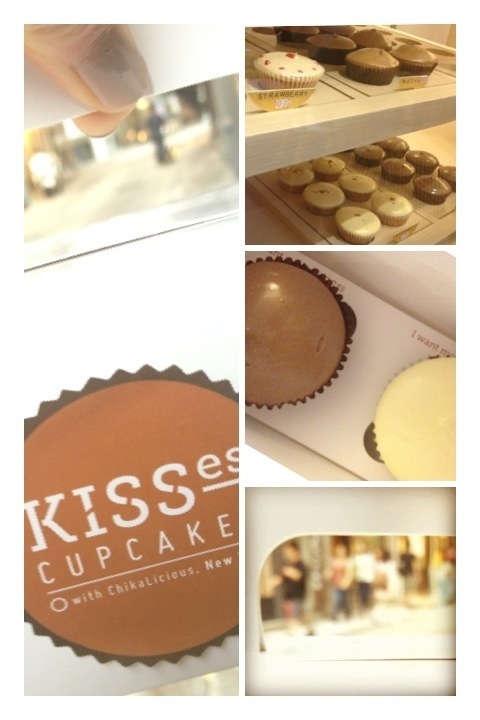 The latest one on my list to try was Kisses Cupcakes on Gough Street. At the recommendation of the store (which also happens to be my favourite flavors anyway) I tried the triple chocolate and the red velvet (last one on the rack!). The one thing the jumped out at me was that the icing is surprisingly frothy and creamy. A cross between icing and whip cream. On the other hand the cake itself is dense and moist. An interesting combination. The flavor was also as it should be, correctly tailored to the Asian taste and not teeth achingly sweet (though it is slightly weird, like drinking sparkling water and expecting it to taste like sprite). Upon closer inspection of the box, it seems that this is an extension of Chikalicious in New York. No wonder it brings back vague memories of the Chikalicious cupcake I had at St Marks – that is to say, not very memorable. Ps. The dense cake also gets really dry after a day. I’ve had Sift cupcakes after 2 days that still taste amazing.